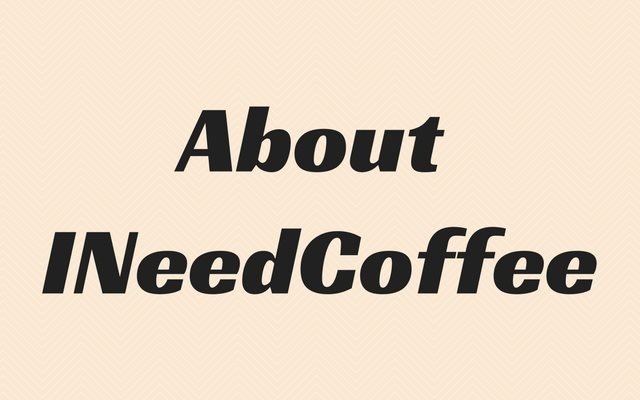 INeedCoffee is a project started by coffee fanatic Michael Allen Smith. The website was launched on April 4th, 1999 and is based out of Seattle, Washington. The goal of INeedCoffee is to not only celebrate excellent coffee but to empower the coffee fan to make better coffee at home. This site hosts many tutorials related to coffee brewing and home coffee roasting. INeedCoffee is self-financed. If you would like to help, check out our Support INeedCoffee page. Your help is appreciated. If you would like to receive an email whenever a new article is published, you can sign up for our Feedburner email. The first icon is for RSS. RSS stands for Really Simple Syndication. It is a protocol for subscribing to websites and then being alerted when new content is published. To subscribe to a feed, first, you need an RSS reader, such as Feedly. Shortly after a new article goes live on INeedCoffee, we send out a Tweet with a direct link to that article on Twitter. We no longer use Facebook. INeedCoffee does NOT review coffee on the blog, however, we do review coffee equipment. Unlike traditional reviews, we try and focus on creating a brewing tutorial for users first and foremost. Our goal is not only to assist coffee consumers with purchasing decisions but to help those coffee drinkers that have already purchased the item by anticipating their questions and issues. Although we specialize in reviewing equipment for the average home user, we can also review high-end coffee equipment. We will fully disclose whenever we receive a product in exchange for a review. If a brewing tutorial or review does not have a disclosure then that product was acquired by us and not given to us. Anything we review must also be available for consumers to purchase, preferably through our affiliate partner Amazon.com. Items that are not yet available to consumers, but will be soon are fine. For those getting started home roasting, here are some places you can purchase green coffee beans. Green Bean Coffee Buying Club – Co-op. Interview here. In April 2018, INeedCoffee removed all articles related to “Coffee on the Road”. We discovered that the articles on local coffee scenes became outdated very quickly. Links would frequently break. Coffee places highlighted in those articles would sometimes go out of business or change addresses. Our coffee travel articles quickly lost their value to our readers. If you need guidance on finding good coffee on a trip, consult with Sprudge or Yelp. INeedCoffee.com is a participant in the Amazon Services LLC Associates Program, an affiliate advertising program designed to provide a means for sites to earn advertising fees by advertising and linking to Amazon.com. INeedCoffee is also an affiliate with eBay, Peet’s Coffee, Udemy, and iTalki.